All HI E DRY Dehumidifiers remove two to three times more water per kilowatt hour of electricity than conventional dehumidifiers. Low Cost. Lower Energy Costs. Higher Efficiency. All HI E DRY dehumidifiers are designed to be efficient, durable, and economical. 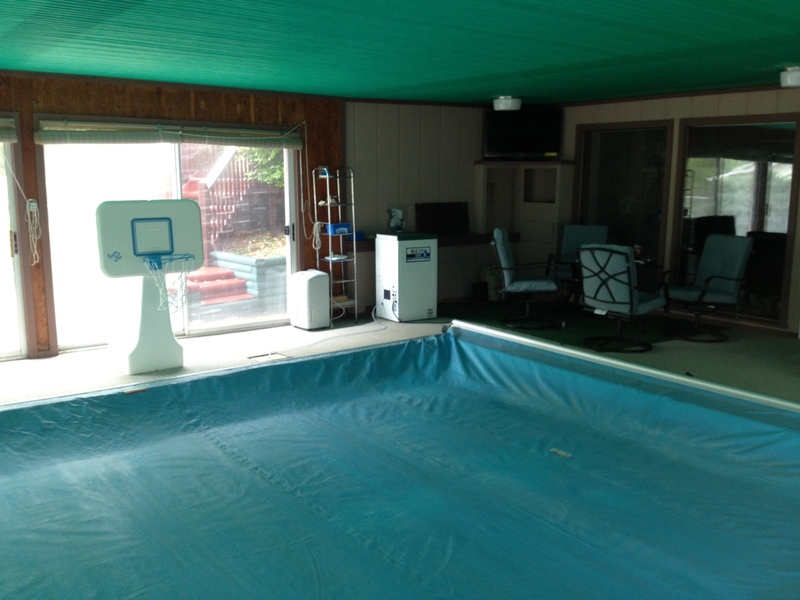 The dehumidifiers work great for controlling the moisture loads in pool and spa rooms. The HI-E DRY dehumidifiers utilize heat transfer innovations that dramatically improve performance. 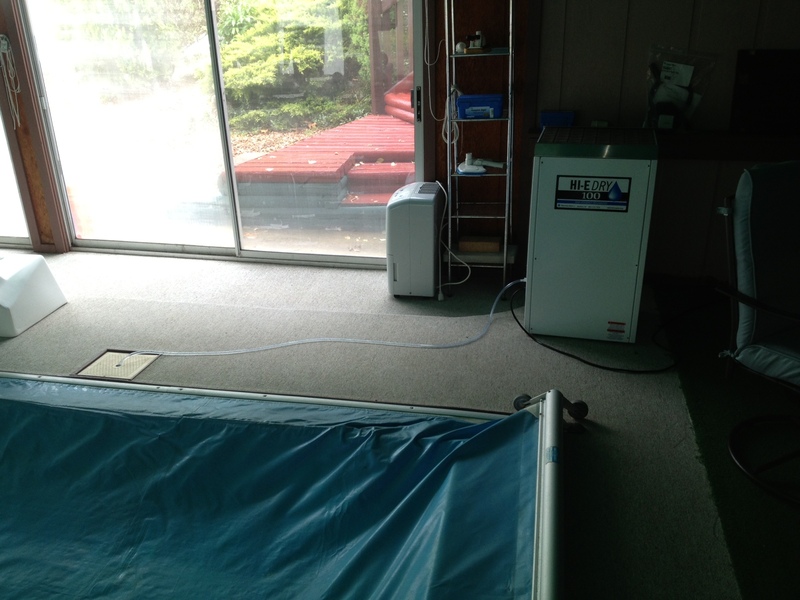 This enables the dehumidifier to have a higher capacity of water removal than other dehumidifiers. The smaller refrigeration systems result in lower equipment costs and a smaller electrical load. Performance The HI-E DRY 100 removes 6.8 pints of water per kilowatt hour at 80°F and 60% RH, while the industry average remains around three pints. The high-efficiency design of the HI-E DRY 100 offers more than just dramatically reduced electricity costs, it also removes more water from a smaller, more efficient refrigeration system. 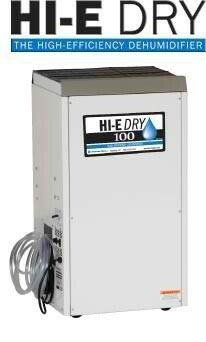 This design allows the HI-E DRY 100 to cost less than other commercial dehumidifiers of equal capacity. The HI-E DRY Model 100 features a dehumidistat controller with settings from 20 to 80 percent relative humidity and a positive "on" and "off" setting. A blower switch permits continuous blower operation independent of dehumidification. The unit is portable and has four casters. The internal condensate pump is capable of lifting the water it collects 17 feet, and 20 feet of condensate hose is included. 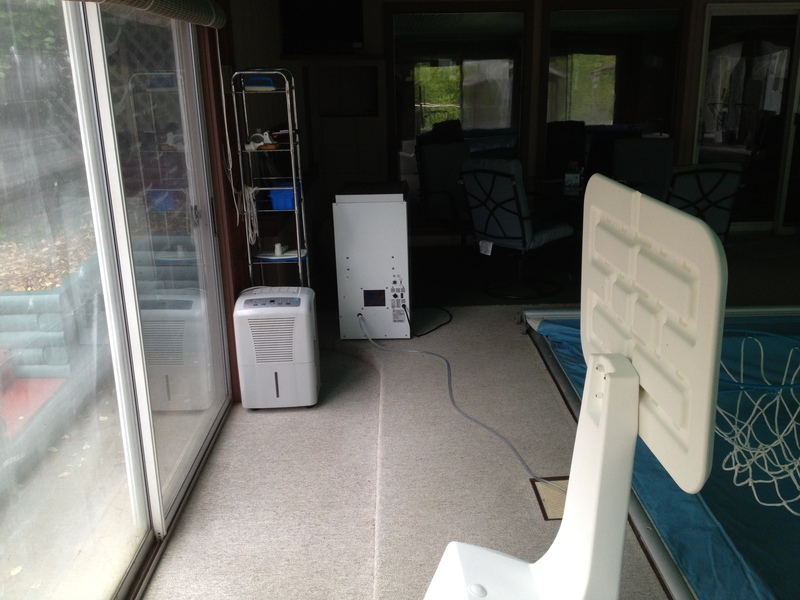 This dehumidifiers is ideal for pools, spas, basements, and many other areas where dehumidifiers are needed.